I am a new convert to the joy of Calendulas. I only started growing them last Summer & fell in love straight away. They are one of the hardest working plants in the garden. As long as you deadhead them, they flower all Summer long from about June onwards. They have the sunniest flowers you're likely to find, the ones in my garden range from egg-yolk yellow through to sunset orange. On top of all that, they have amazing medicinal properties. 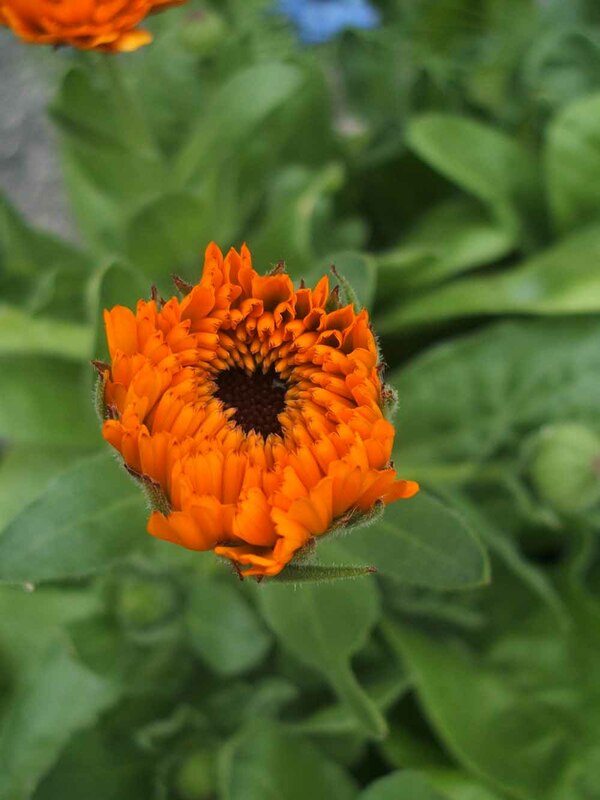 Calendula oil is used as an anti-inflammatory and a remedy for healing wounds. It can be used for burns, cuts and infections due to it's natural anti-septic and anti-fungal properties. 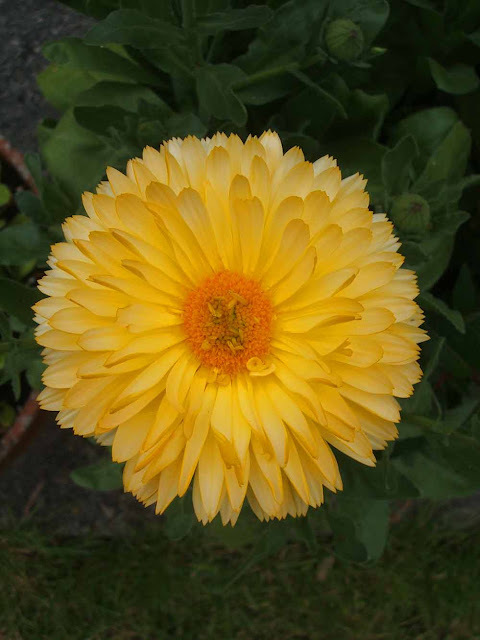 It's well worth keeping a tube of Calendula Cream in your medicine cabinet. 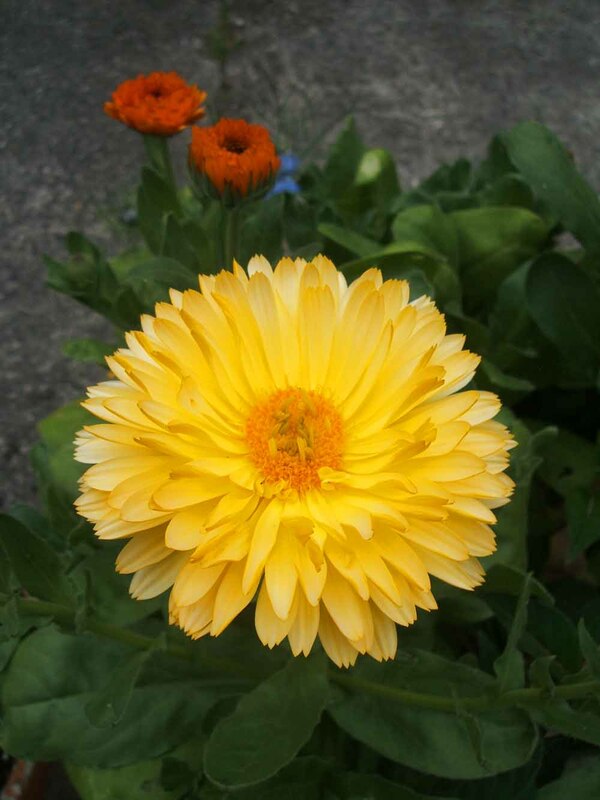 The Calendulas growing in my garden are from seeds I saved from last year. They've been drying in a cup all through the Winter and I planted them in March. I'm really pleased with how vibrant they are this year. The only thing I've noticed is the seed heads from this year's plants have hardly got any seeds on them. I'm not sure if second generation Calendulas lose the ability to produce an abundance of seeds. 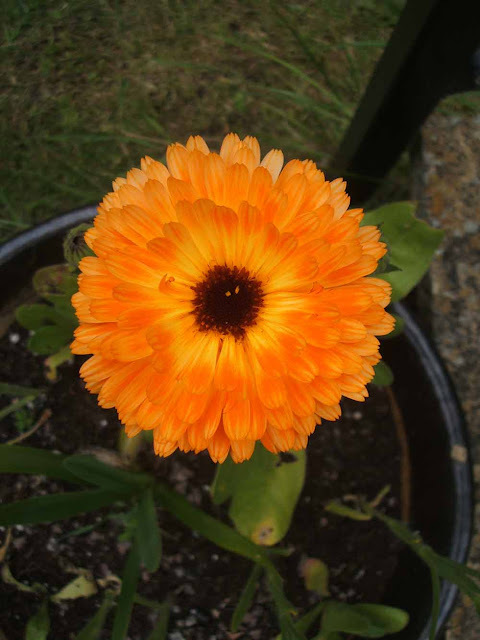 I've never grown Calendulas in the garden, but after reading your comments I think I should. Some of my body products have it in, it's very soothing. Gorgeous colours! Lovely - I always see these as 'softer marigolds'! I usually have calendulas that self seed around the veg patch but I have not seen any this year. I'll have to remember to get some seeds next year. They are lovely plants, mine are in full bloom now...so easy to grow. I have started to collect seed heads already, so if anyone needs any, give me a shout!